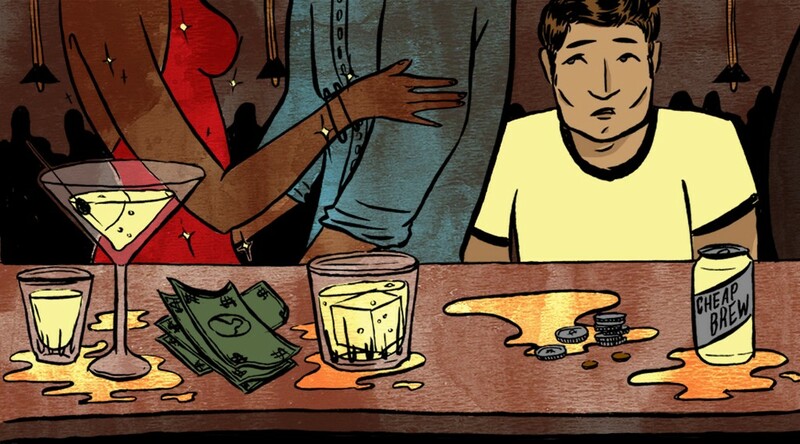 Over the past four months, I’ve been interviewing people about how they managed to get out of serious debt, and I’ve noticed a recurring theme in their stories: More often than not, paying down their debts required them to avoid expensive social situations. That withdrawal often put a serious strains on their friendship, and sometimes resulted in them losing some friends altogether. Kyle Pendergrass lost six friends when he ventured to pay off his student loans after college. “They came from more affluent backgrounds and just couldn’t understand that some people have to say ‘no’ to things so they can pay off their debts,” he explains. These experience point to a tension between achieving personal financial goals and maintaining relationships with friends. “It’s almost a universal problem,” says Robert Weagley, associate professor and chair emeritus of the personal financial planning department at the University of Missouri. The discord between friends and finances stems from the “relative income hypothesis,” Weagley says—the economic theory that says people’s consumption and saving habits are more influenced by social factors than by their actual incomes. That is, people will often spend more than they can afford as “an outward display” that they’re of a higher social class. Once a person grows accustomed to a certain standard of living, they’re usually reluctant to “ratchet down” to a lower consumption class, Weagley adds. So if one friend suddenly decides to spend less, it can cause conflict for everyone. Kelsy eventually caved to the pressure, trading in her cheap social activities such as game and movie nights at home for lavish dinners and binge drinking sessions with friends. Spending more felt great and was a boost to her social life, but it undid all the progress she had made paying down her debt. The most discouraging aspect to this phenomenon is that there’s not necessarily a win-win solution. That’s harsh advice, even from an economist, but it’s exactly what happened to Pendergrass and Trimble. They both lost “friends,” but they soon realized those friendships were unsubstantial, predicated mostly on getting drunk together — fitting with Weagley’s slightly more upbeat take.